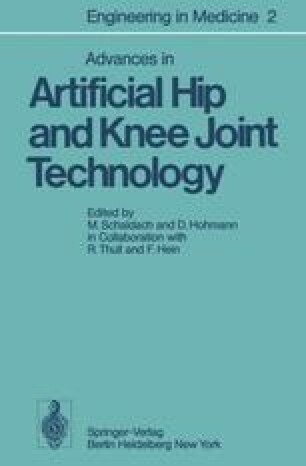 It is to the introduction of acrylic bone cement by John Charnley, that we owe the breakthrough to routine total joint replacement. Charnley also gave us an initial analysis of the mechanics of fixation with cement — which still holds true — and an account of the morphological findings in post mortem specimens. Since fixation with cement has been such a success, we shall undertake to carry on with an analysis of its mechanics in order to proceed to even better solutions, possibly without acrylic cement.